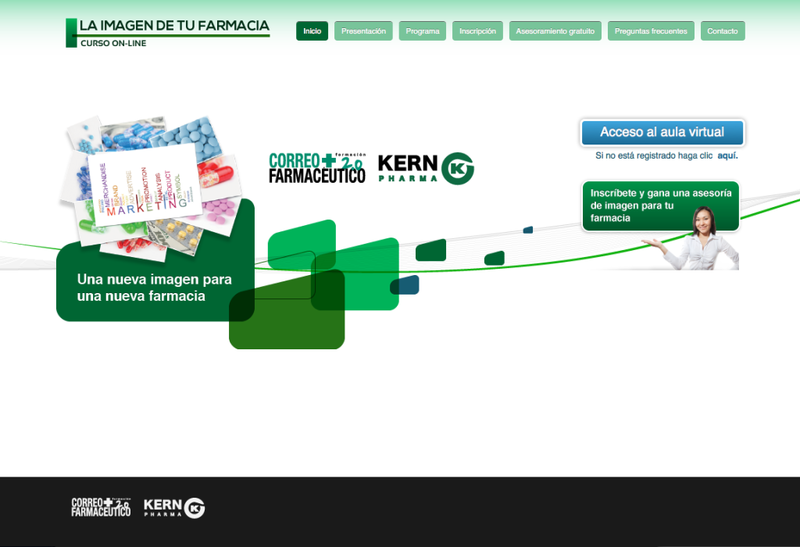 Client: Diario Médico para Kern Pharma. Kern Pharma is a company that develops, manufactures and commercializes pharmaceuticals (with great emphasis on generics), and in turn provides services to third parties (development, Contract Manufacturing and Chemical production ). With a production of more than 95 million units annually, the plant that Kern Pharma has in Terrassa is among the top 5 nationally with more than 600 employees. 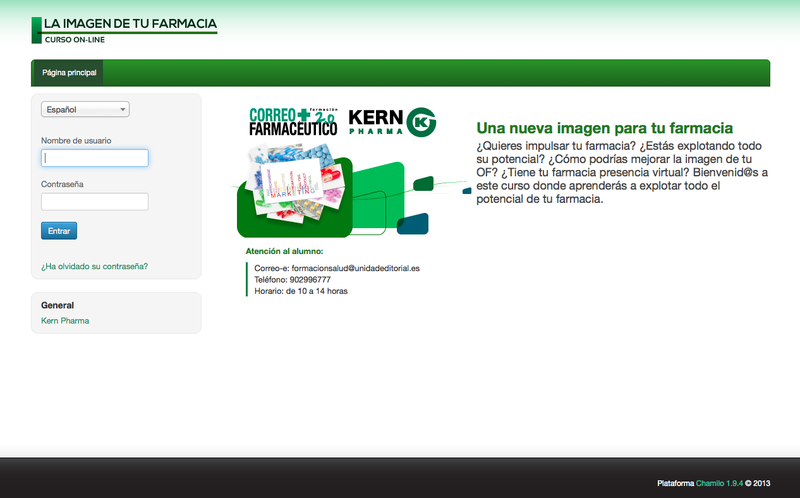 Looking for the improvement in the management of the Spanish fames, Kern decided to launch a course focused on the improvement of the image management of the Spanish pharmacies . The objective of the course was to identify the potentialities of the pharmacy and establish a work plan to achieve this. 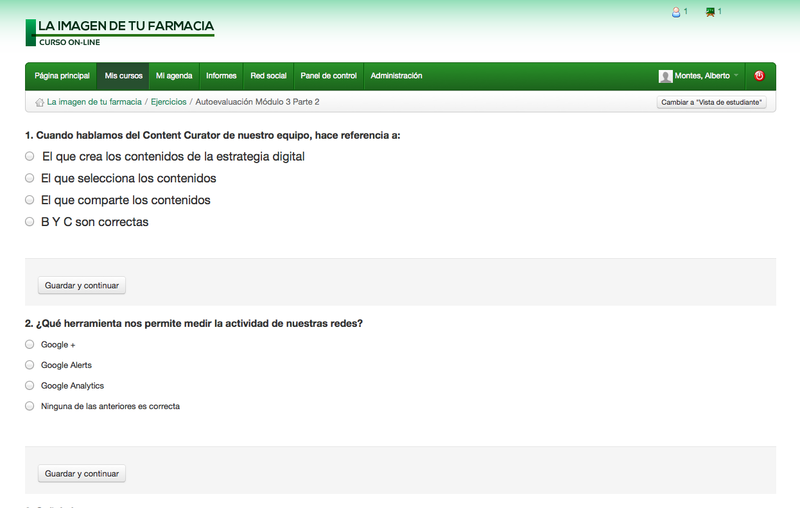 To achieve Kern’s goal, from Contidos Dixitais we created a informative micro-website of the course with everything necessary to attract the pharmacists that would later be formed in a Chamilo virtual campus. The website included registration form and the virtual campus with all the usual tools for the correct performance of a fully online training: documentation repositories, scorm lessons, self-assessments, forum, chat, etc.